We all know the fierce rivalry between Boeing and Airbus. Quality, innovation and efficiency – the aircraft manufacturing behemoths have always had a cutthroat competition in these areas. This time, Airbus is shifting tides in its favour by launching the latest A350 model in the skies. According to Airbus Marketing Director Francois Obe, “Forecasts show about 40% of the world’s air traffic will come from Asia in the next 20 years. In that sense, our latest A350 model is the product with the best capacity which is adapted to the evolving market,” He was in Seoul as part of Airbus’ three-week demonstration tour to the Middle East and the Asia-Pacific region. That itself says something about the scale of demand which is unprecedented. 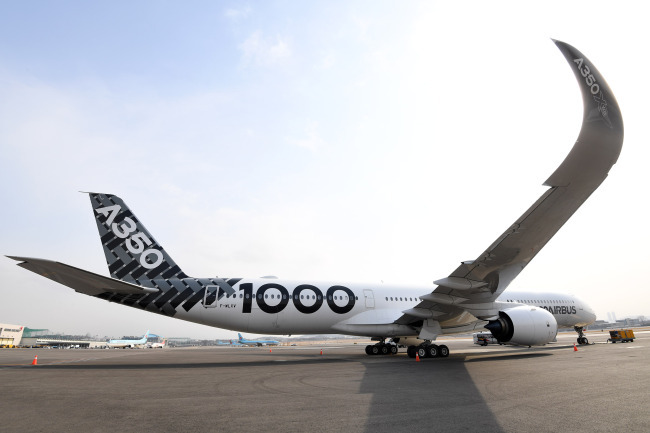 Which brings us to the question, what is so special about the new Airbus A350-1000 model? “Measuring nearly 74 metres from nose-to-tail, the A350-1000 is the longest-fuselage version of Airbus’ all-new family of twin-aisle, wide-body jetliners. 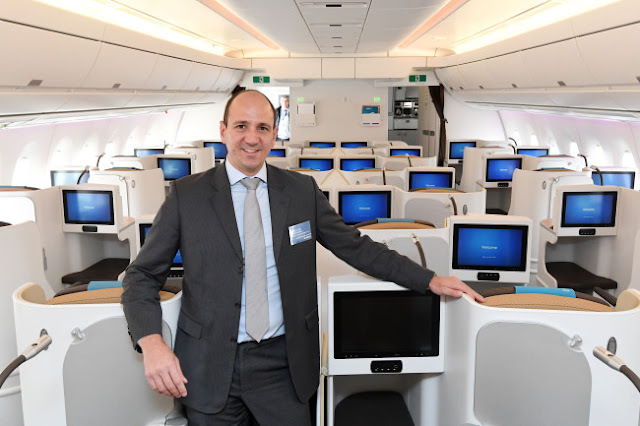 It seats a total of 366 passengers – who can expect a spacious and quiet cabin, wider seats and elegant ambient lighting that contributes to a beautiful interior while also minimising the effects of jetlag.”, the company says. We will come to that in a moment. The aircraft is powered by two state-of-the-art ‘Rolls Royce Trent XWB-97’ engines, offering lower approach speeds. Engineers at Rolls Royce have developed a new technology in the engine’s core to provide a higher take-off thrust capability - an incredible 44,000kgs per engine, without compromising operating costs. As the world’s most efficient large aero engine, they save around $2.9 million (INR 19 crores) per aircraft per year on fuel. More than 70% of the A350-1000’s lightweight airframe is made from advanced materials combining composites, titanium and advanced aluminium alloys, making it much more fuel-efficient than older planes. The aircraft’s carbon fibre reinforced plastic fuselage results in lower fuel burn, as well as easier maintenance. New specifications include an aluminium-based lighter body equipped with a modified wing trailing edge, six-wheel main landing gears and 40 extra seats than its predecessor – the A350-900. Composites are stronger and more durable than metal, which enables a host of benefits that enhance passenger comfort. The cabin can be pressurized to the equivalent of 6,000 feet in altitude, compared to the 8,000-foot mark on most jets, which can ease symptoms like fatigue and light-headedness. Composites do not corrode from moisture the same way metals do so cabin humidity can be kept at around 20% — versus the 8 to 10% normally experienced on planes, leaving passengers feeling less exhausted after flights. It has 8 cabin temperature zones for more precise climate control aboard. It carries hospital-grade HEPA H13 air filters, which circulates air in the entire passenger cabin within two to three minutes, making the cabin germ-free in a short time. To help combat jetlag, the A350 has LED ambient lighting with up to 16.7 million settings and sequencing that can be customized over the course of a flight. Airbus uses a high-bandwidth fiber-optic cable for in-flight entertainment systems that do not require those bulky individual boxes under seats, so passengers have more legroom. The Rolls-Royce Trent XWB engines, which are the most fuel-efficient engines in service today, make the A350 much quieter than other long-haul flights. The average cabin noise level is just 57 decibels, which Airbus claims is 75% less than conventional aircraft, and up to 6 decibels lower than on the Boeing 787. The new model can travel a maximum of 14,800 kilometres, which is enough to fly passengers from Seoul to North America or any European country without stopovers. Such upgrades & features are only going to better in the future as the companies wager their R&D and competitive advantages into making reliable and safer products. Airbus has taken a giant leap forward in economising the carbon footprint and the fuel consumption of the planes by placing increasing importance on aluminium. Boeing needs to up its game soon to compete in the Asian markets. But for the moment, Airbus is touching the skies with flying colours.